I love JW Marriott hotel a lot and this is very evident in all my post. 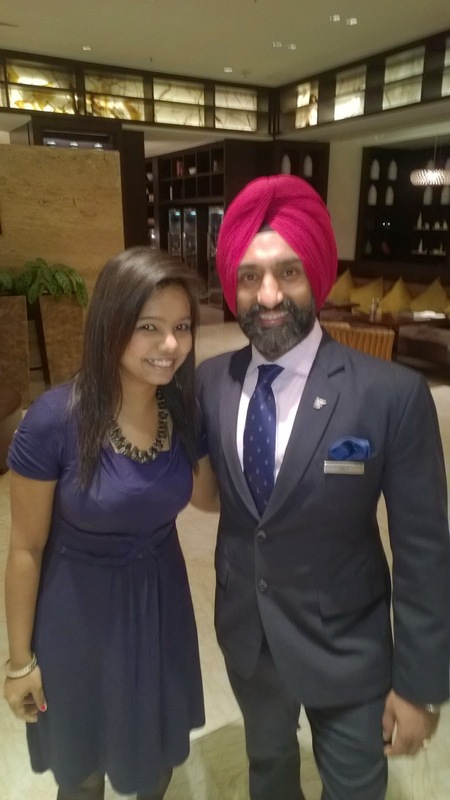 This time, I was invited to be a part of the Baisakhi celebrations with Chef Jolly. Baisakhi calls for pomp, festivity and rich gourmet indulgence, marking the beginning of the New Year and the harvest season. A celebration of colour, dance, music and food, this Baisakhi, JW Marriott Bengaluru invites you to experience the flavours of this vibrant Indian state at the Indian speciality restaurant Spice Terrace. Set against the backdrop of a traditional street in Amritsar, the celebration is a showcase of authentic cuisine and live entertainment in an elaborate spread from April 10th to 19th. 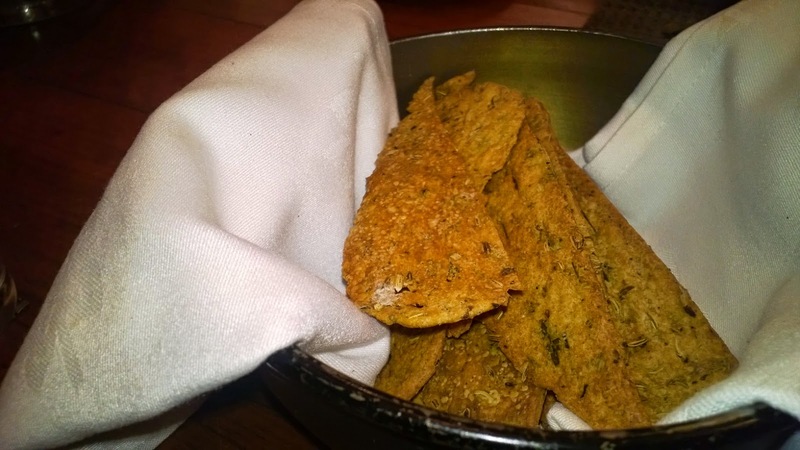 I was extremely happy to have my first Baisakhi dinner at JW Marriott, the dinner was accompanied by an interaction with Celebrity Chef Jolly. The Chef gave us a brief talk about the celebrations and food that was served to us. He is an amazing learner, he makes the attempt to go to place to learn the history of the food and he prepares the same with modern cooking techniques. He is magician in the kitchen and foodie outside the kitchen. Being from Amritsar and from his recent trip, he made sure that the food which was part of the menu was made as authentic as possible. 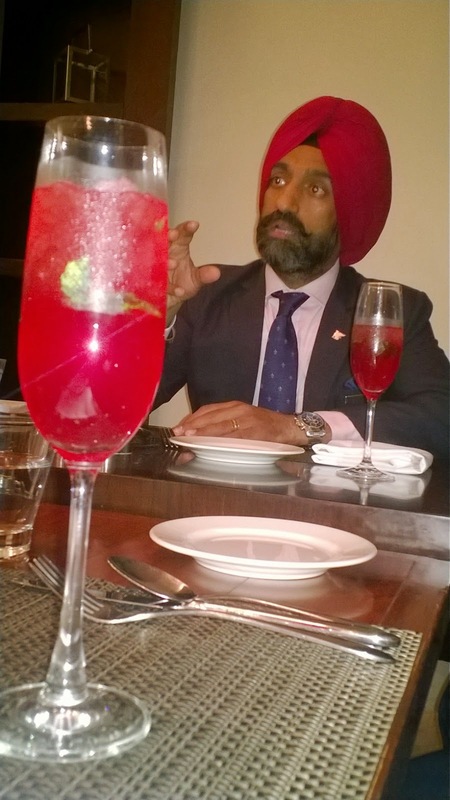 I learnt a lot about Punjabi food and also about Amritsar. I am sure Chef Jolly will be glad to suggest me some amazing food joints for my next visit. 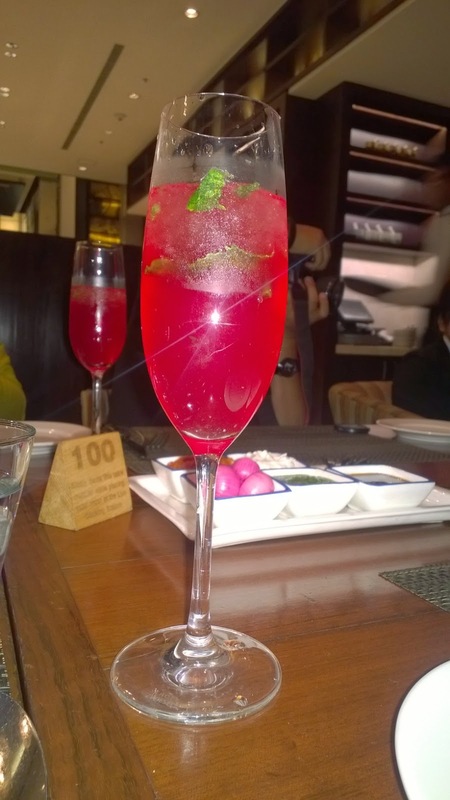 Shikanjvi was served, this was a really refreshing drink made from rooh afza that complimented majority of the dishes that was served to us. Have it either chilled or with crushed ice as it taste the best then. This is surely going to be my summer cooler at home. 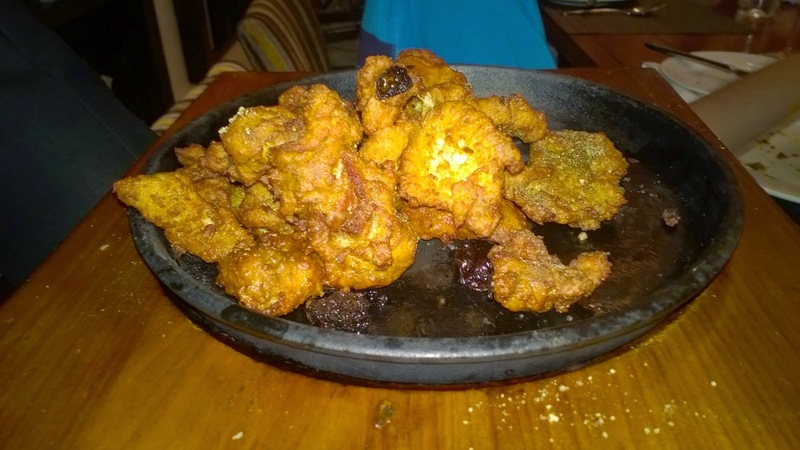 For starters, Amritsari Machchi (Fillets of Singhara fish), No Punjabi occasion is complete with out this fish dish. 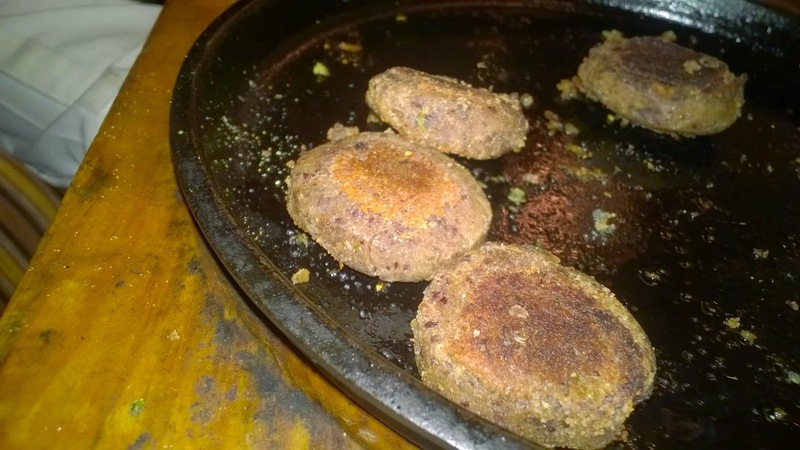 Fillets of Singhara dipped in an ajwain spiced chickpea flour batter and deep fried in mustard oil. It originated from “Hari ke Pattan” a small town by the banks of Sutlej river, a favourite spot for the migratory birds too. An instant hit at the table. Methi tey Saron da Tandoori Jheenga (Tandoor grilled prawns), is tandoor grilled, plump Arabian Sea prawns refreshingly marinated in a citric blend of lemon juice, sun dried fenugreek (methi) leaves & mustard paste. 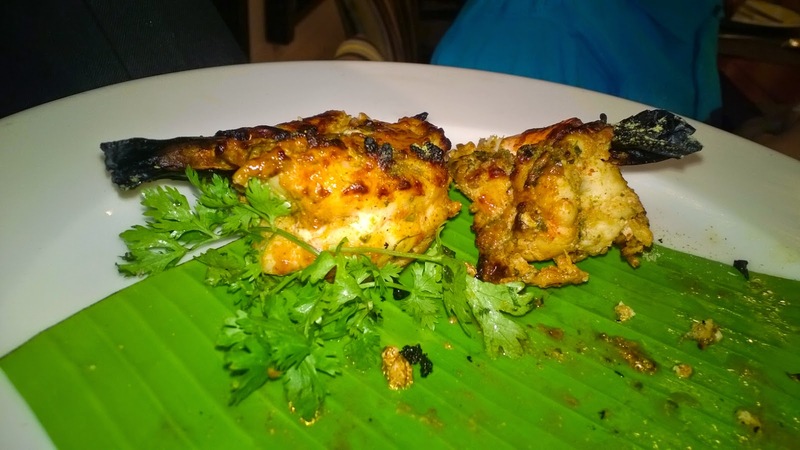 I have never had this version of prawns so I liked the tandoori version. 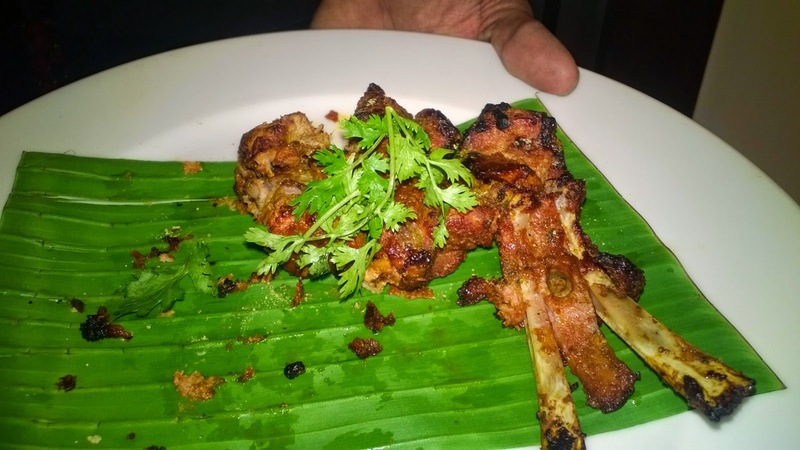 Chaampan tey Botiyan, is tandoor roasted lamb chops & boneless cubes, marinated with garlic juice, ginger, green papaya, yogurt, red chilly paste and robust spices. How can lamb chops ever go wrong at JW Mariott. It has always been my favorite here. 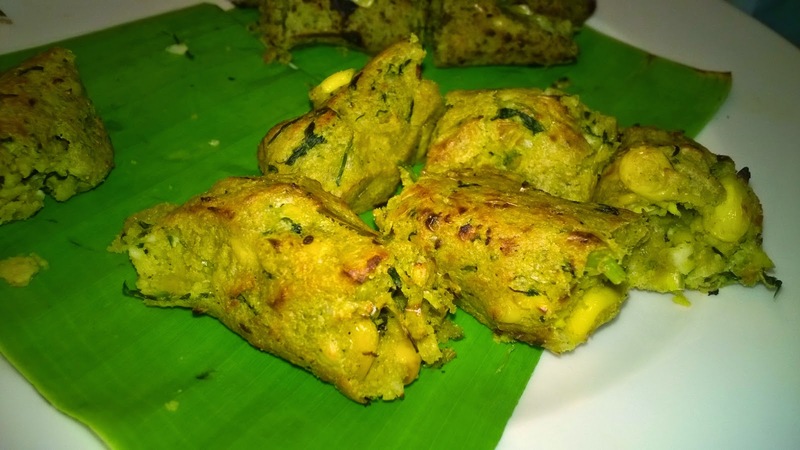 Til, Pudina Malai Paneer Tikka, is sesame crusted cottage cheese kebabs, marinated in stone ground- mint, green chillies and green mango relish, tandoor roasted. 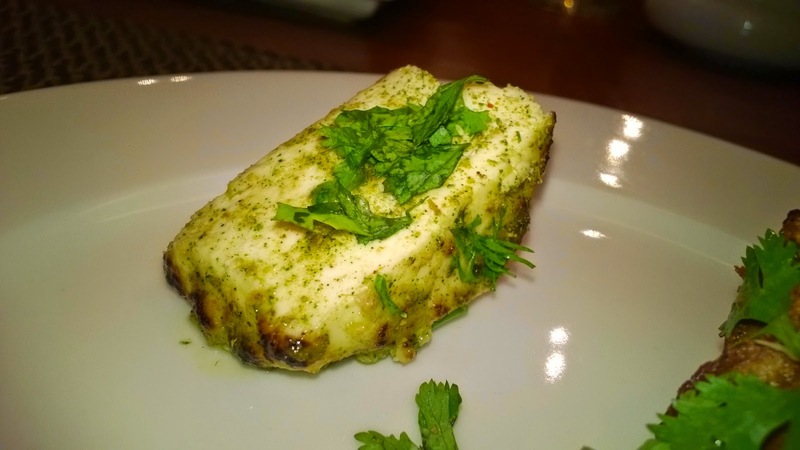 Not a big fan of paneer but the ingredients were blended so well with paneer that I did not kind another serving of it. Rajmah Naeyojae tey Khoye di Seekh, is charcoal grilled skewer of red kidney beans, pine nuts and “khoya” milk cake, spiced with freshly pounded peppercorns, black cardamom seeds, cumin seeds & ginger. Served with tangy tomato chutney. Punjabi veg food could be this tasty? It was eye opener and my fav veg starter. 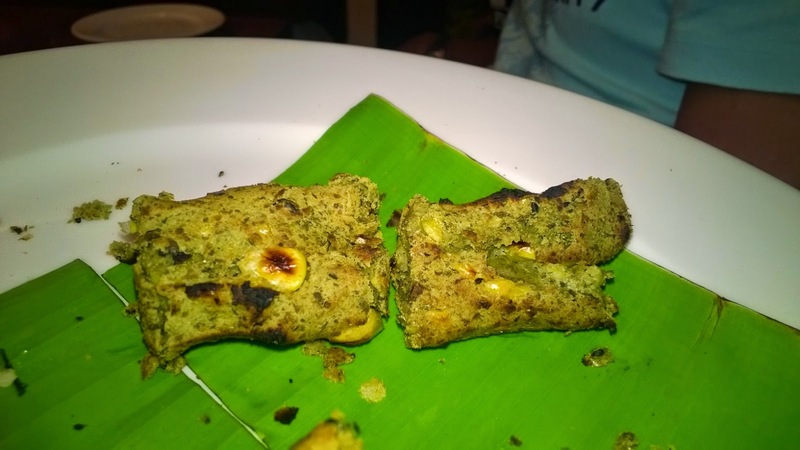 Choliyan, Makkai tey Kalonji di Seekh, is charcoal grilled skewers of harvest’s green gram, young corn kernel and nigella seeds. This melted in the mouth and you better eat this with your hand asit breaks easily. For main course, I was eagerly waiting to try Bharme Amritsari Kulche, which is stuffed refined flour dough bread with a choice of spiced potatoes, cottage cheese, onion masala and lamb mince. Could I ever get this in Bangalore? Please let me know as I love it. All of you know that I love non veg food more but this was one surprise for me. Bhartha Amritsari, is charcoal-smoked eggplant mash & green peas, tempered with garlic, green chillies and ginger finished with a dash of lime, my favourite pick of selections at “Kesar da dhabha”. I have always cried to eat brinjal at home so I had no hopes when this came on to my plate but I was pleasantly surprised and from now, I will surely try this at every place I visit. 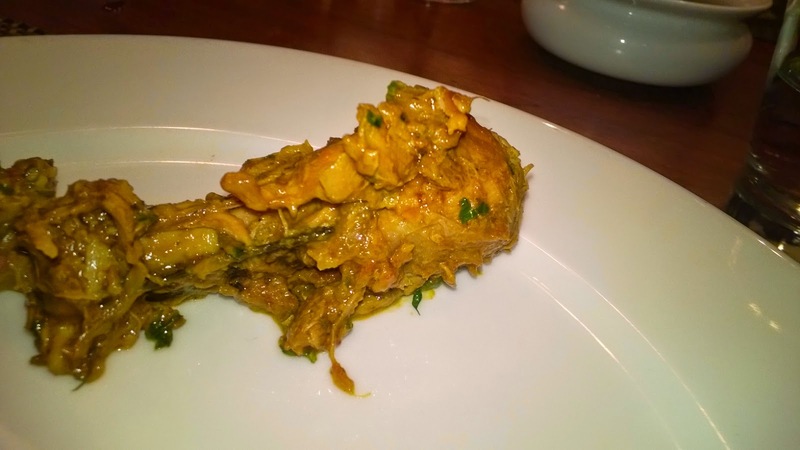 Khaas Murgh, is chicken cubes “khadai roasted”, Indian wok roasted with aromatic spices and herbal marinade of cardamom, cloves, cinnamon quills, mint leaves, yogurt and sunflower seeds, finally enhanced with saffron. 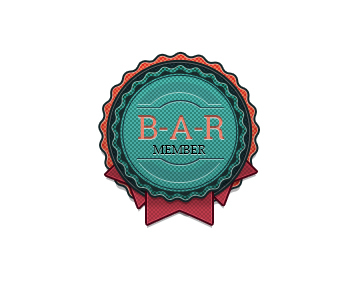 Full of flavors, one can enjoy this at any time. 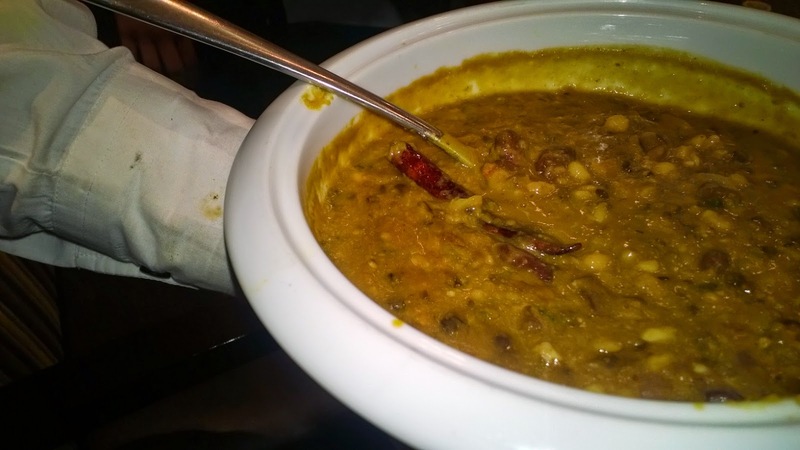 For all who thought that only Dal Makhni was Punjabi then Maah Choliyan di Daal Makhan de naal will surprise you, It has lentil delicacy of whole Urad, Channa daal, red kidney beans, tomato & garlic, simmered overnight on the tandoor, enriched with cream and served with a dollop of home churned butter. i have had this earlier so I enjoyed it while the rest on the table loved it. Gurde Kapurey naal Keema Kaleji, is the ever popular road side lamb dish of Punjab, griddle roasted lamb mince with kidney, liver and sweetbread, cooked with robust spices, ginger, garlic and mild chillies. 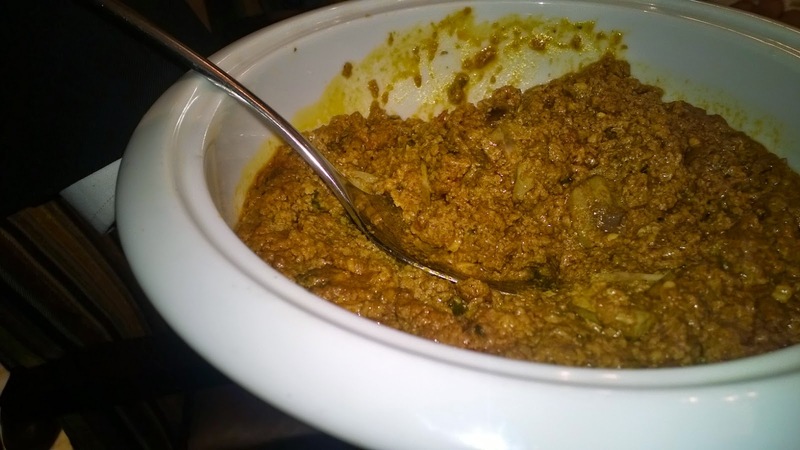 I am not fond of kidney or liver so I did not like this as the kheema also had a taste of liver in it. But my friends liked it. 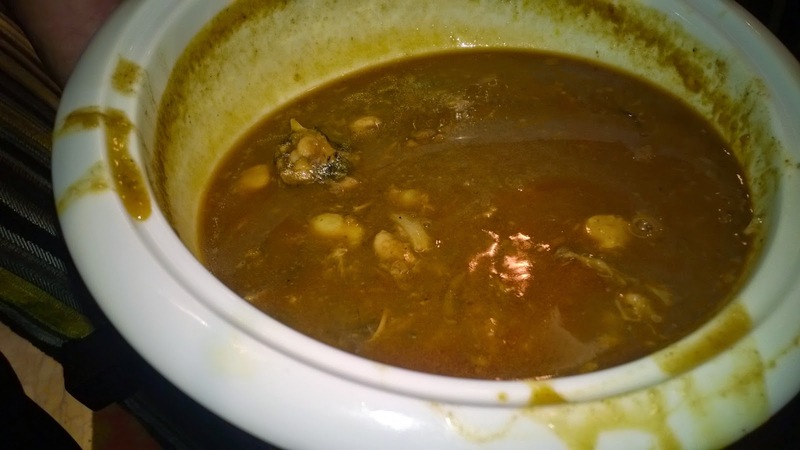 Kharodeyan da Ras, is shanks of baby lamb, braised patiently in the trotters extract for hours together, subtly infused with aromatic spices and coriander herb. 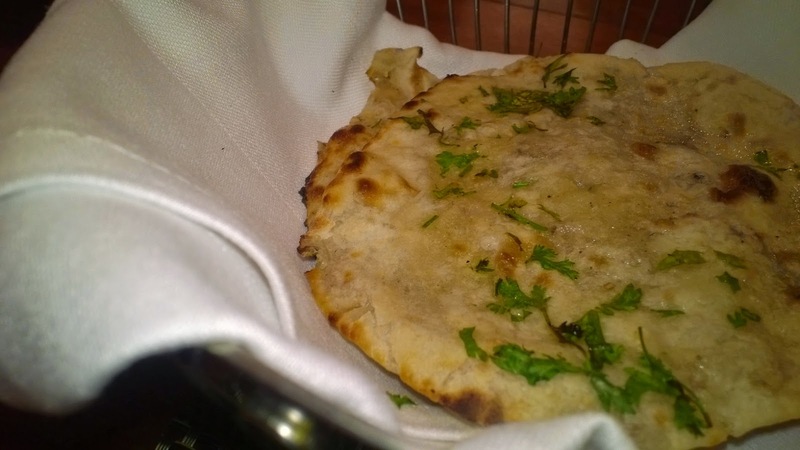 “Paaley” specialises in this unique preparation and here we bring it to you, Amritsar’s finest. This was served and I had no idea what came on my plate. With the first taste I got to know that it was none other than 'Paaya' which my mom loves and I avoid it. So basically I chose not to eat this too. 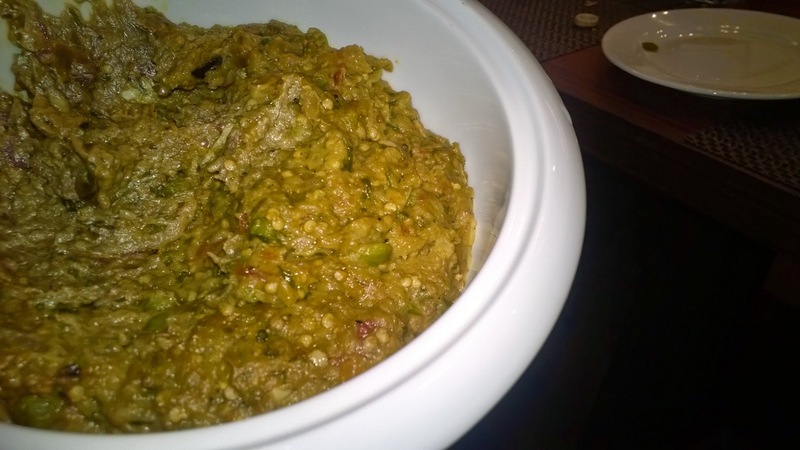 But when i visited with my Mom next, she enjoyed kheema and paaya the most while I had chicken and brinjal the most. I never had Missi Roti, which is tandoor cooked chick pea flour bread spiced with green chillies, ginger, and onion, soured with sun dried pomegranate seeds. 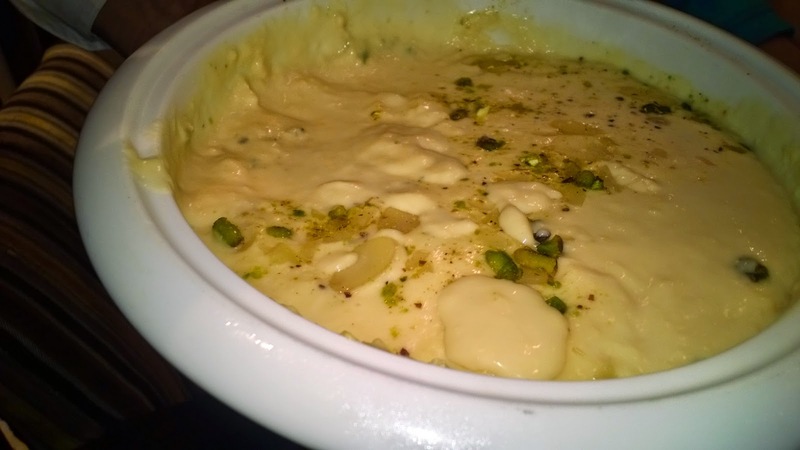 I was told to have it with jaggery and for me this was something new. Decent, I liked it. I was waiting to try this and also write about it. 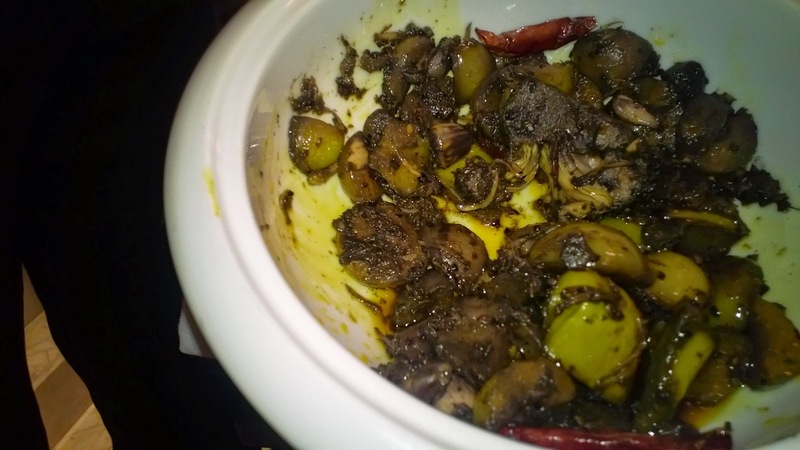 Aawley, Katheal tey Aambiyan da Achaar, is Indian gooseberries, young jack fruit & green mango pre-tempered in mustard oil with nigella seeds, fenugreek seeds, fennel seeds, whole red chillies and then cooked in vinegar. Chef Jolly, could I get some of this parcel for home please? 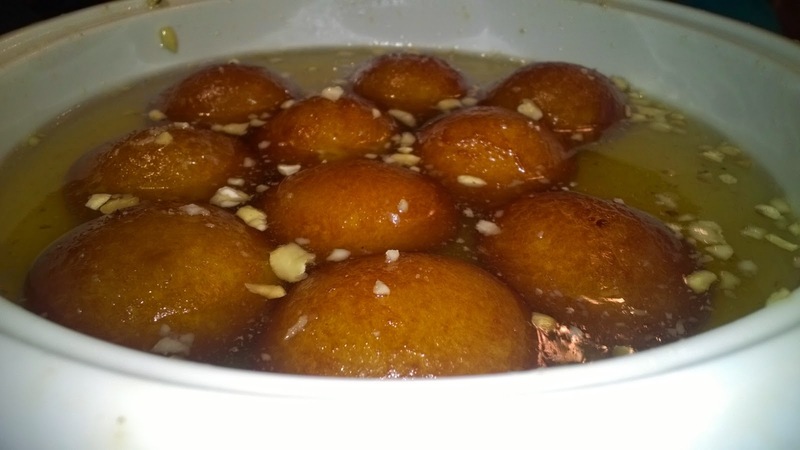 For desserts, I wanted to try pinni but nevertheless, we were offered Gulab Jamun, one big jamoon, extremely soft, sweet and filled with khoya. Heavenly for sure. 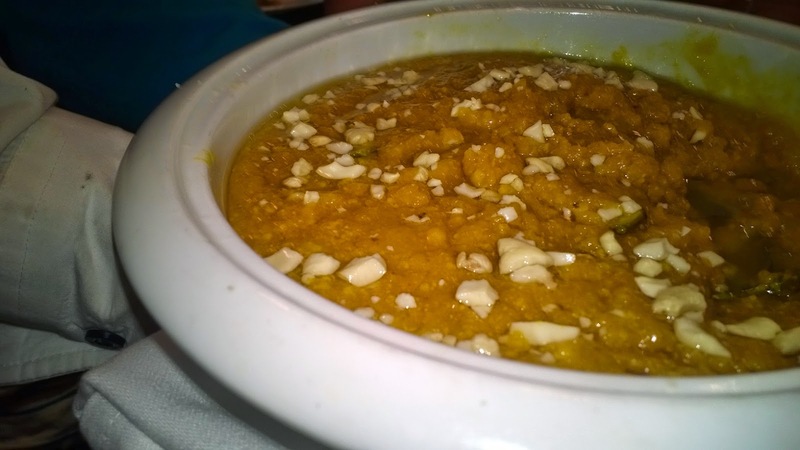 Badaam da Halwa, is traditional sweet of almonds and jagery. i love desserts so I liked this too. Katra Aluwaliyan de Jalebiyan, is a traditional sweet dish made from leavened refined flour batter, first fried in the shape of bangles and later steeped in a saffron flavoured sweet honey syrup, served hot. 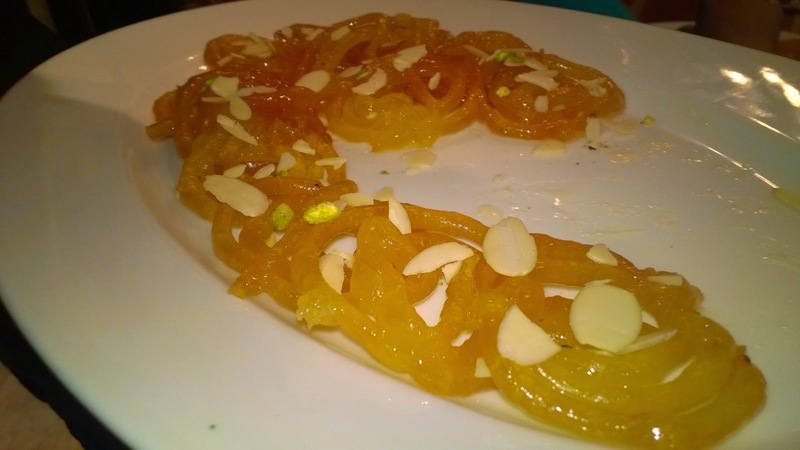 Hot crispy jalebi was made which was served with rabri, a second serving was surely to ask for. With this menu tasting, I got to know more about Punjab, Amritsar and their food by Chef Jolly. For me, punjabi food will never restrict to sarson da saag or lassi. There is surely more to it. 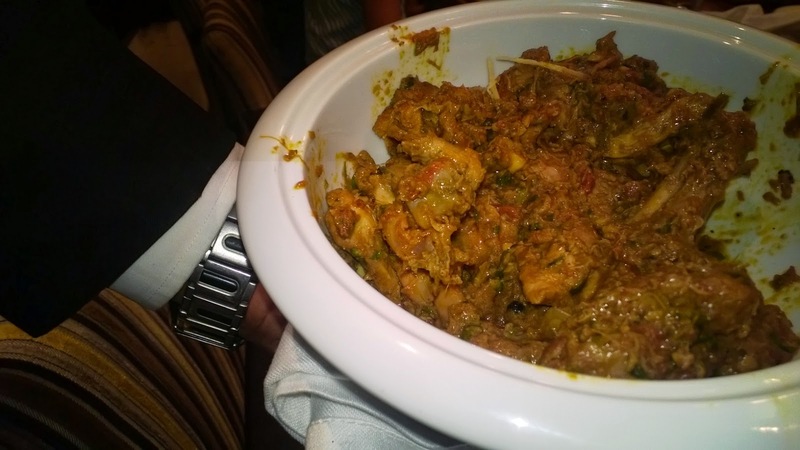 Chef Jolly, hoping that my favorites remain on the menu after the festival, also can we have such festivals often? I loved dining here and so did my Mom when she visited.